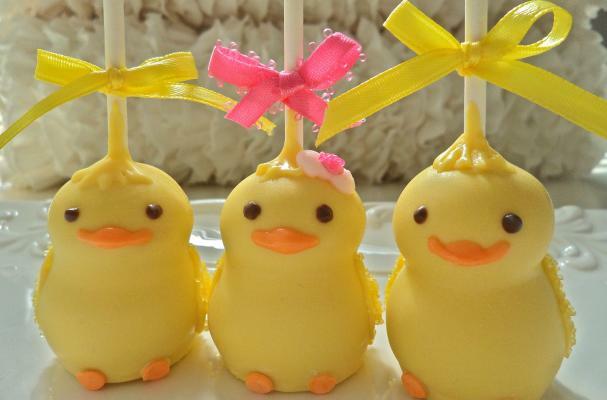 These Easter Chick cake pops are an adorable treat handmade by Frost the Cake Bakeshop. Tied with a ribbon at the top, these chickadees would be a cute addition alongside your Easter eggs this holiday. With multiple flavors to choose from, the Frost the Cake Bakeshop will be sure to satisfy your sweet tooth. For more cake pop ideas, check out this slideshow of creative cake pops.